Rebecca Walker is the daughter of feminist icon Alice Walker, author of The Color Purple. Last week, Rebecca Walker published an essay in the Daily Mail about her experiences being raised by a mother who taught her that children enslave women. Her mother even wrote a poem that compared her to a calamity. In spite of this upbringing, Rebecca discovered she wanted children. Eventually she met a man who became her “partner” and got pregnant. When she told her mother that she was pregnant and had never been happier, the feminist icon said she was shocked. Soon after Alice Walker cut off all contact with her daughter, said she was no longer her mother and is even rumored to have removed Rebecca from her will. I find Alice Walker’s response puzzling. Doesn’t feminism stand for women choosing their own path? What about self-determination. Feminism walks hand in hand with the “pro-choice” movement. In feminism and abortion, pro-choice does not include the choice to have children. 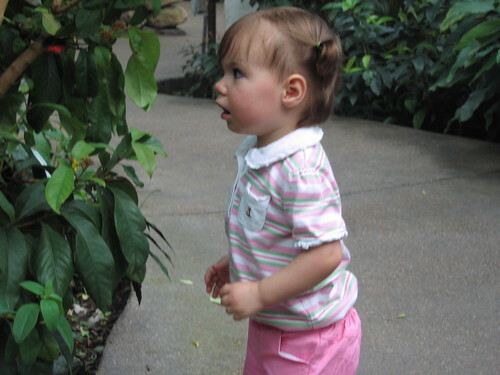 Yesterday I took Bailey to the Butterfly Pavilion. 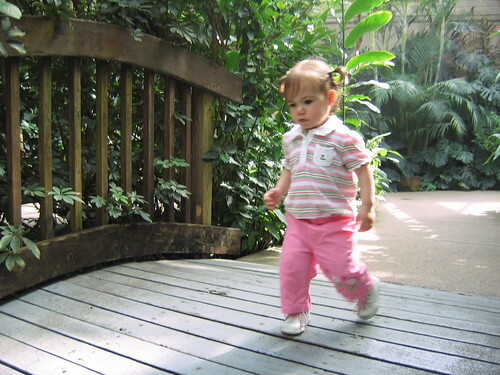 She had the most fun playing on the little wooden bridge.